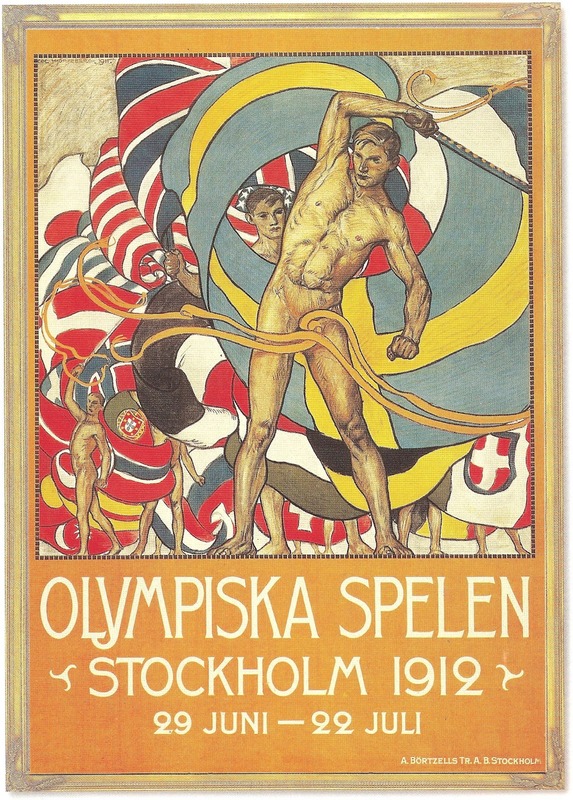 After being successfully revived in a nine-day festival in Athens in 1896, the Olympic Games became a rambling shambles in Paris in 1900 and St Louis in 1904, when the Games were at best a sideshow to World’s Fairs. 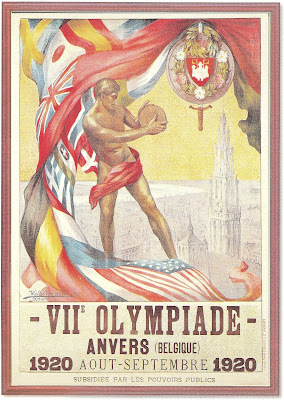 The focus was back on sport when London stepped in for Rome in 1908, but as with Paris (21 weeks) and St Louis (19 weeks), the London Games meandered on for a ridiculous 24 weeks. 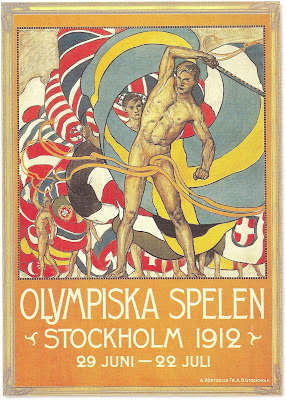 Stockholm in 1912 cut that down to 10 weeks, and staged well-organised Games which steered the Olympic Movement back to its original concept. The 1912 Olympics were also the first to take into planning consideration the needs of the Press. 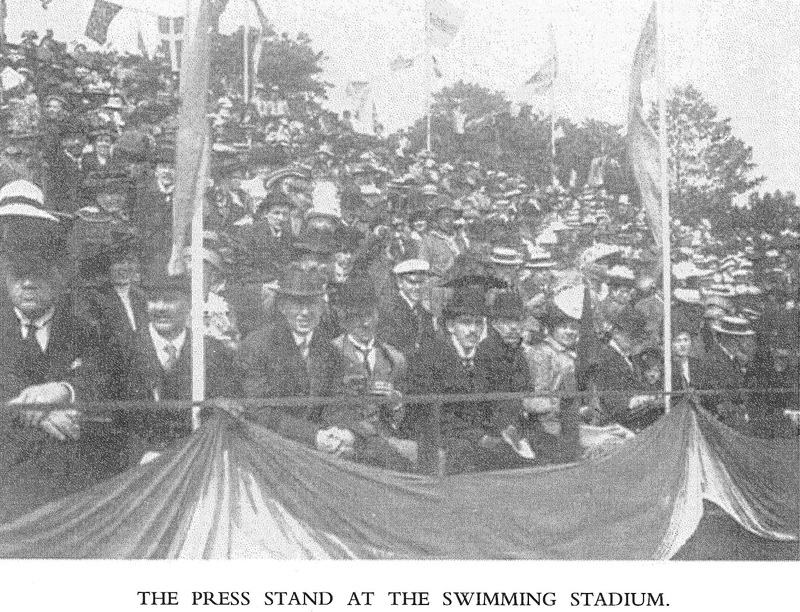 Designated Press stands and other facilities were provided at the main venues. 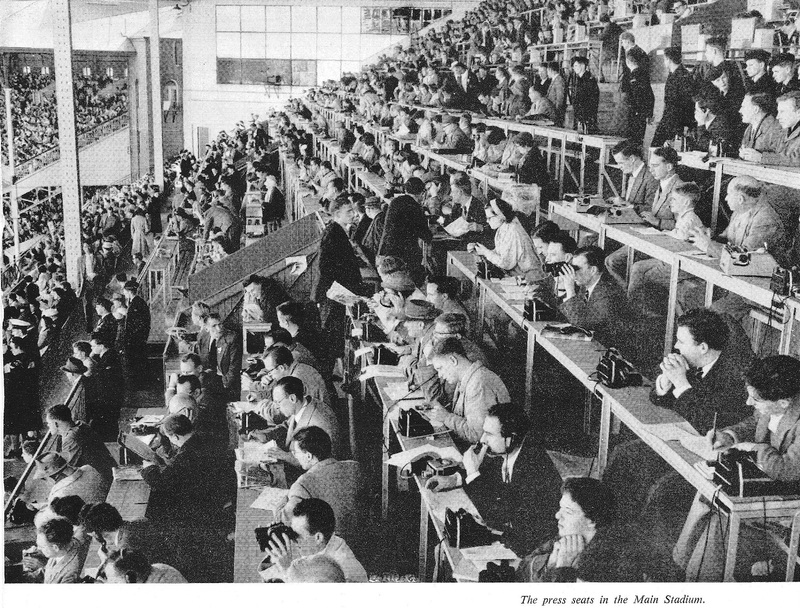 With the Games being more concentrated, it became more feasible for overseas newspapers and Press groups to justify sending typewriter-wielding reporters to cover the events. 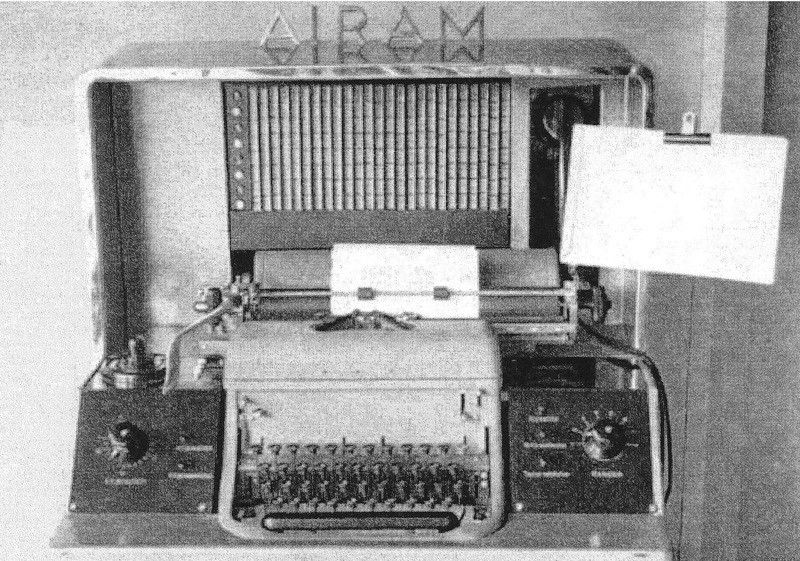 Coincidentally, it was also possible for the journalists to take with them lightweight, compact portable typewriters, such as the Corona 3, which had come on to the market that same year. 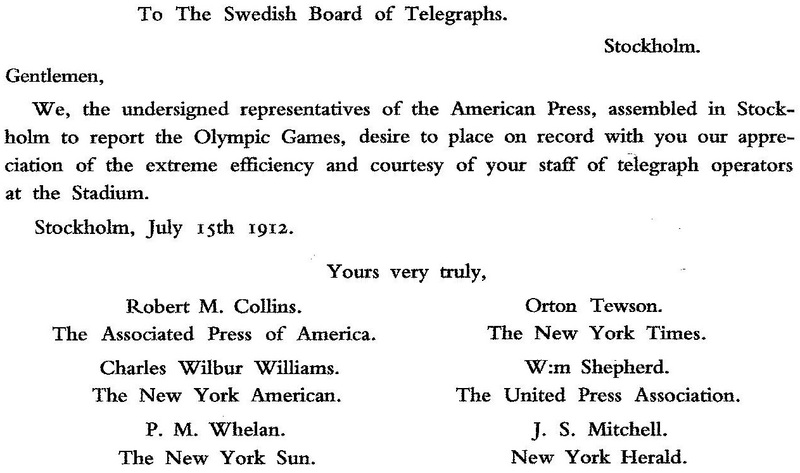 Still, it is interesting that as many as 257 foreign journalists were accredited to cover the Stockholm Games. 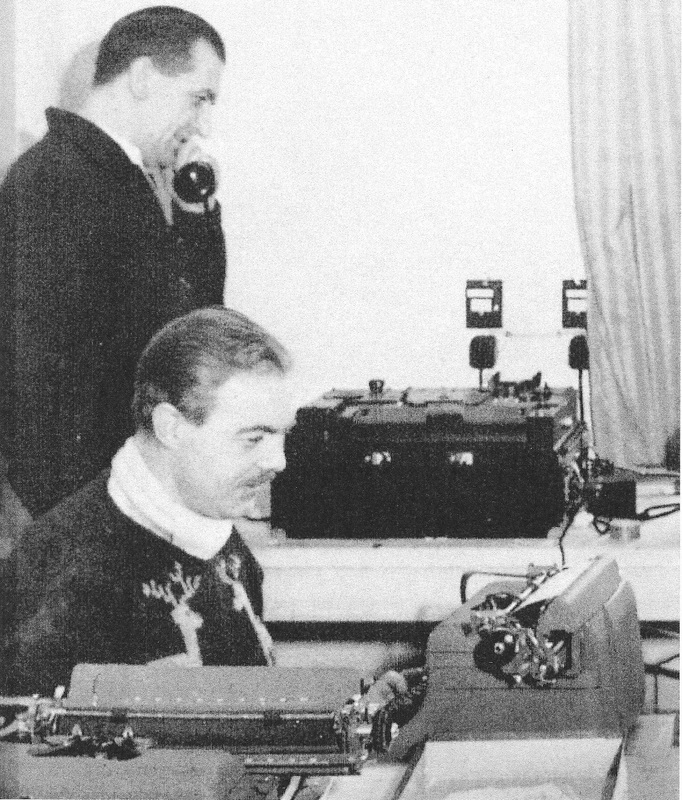 The United States, for example, sent 28. 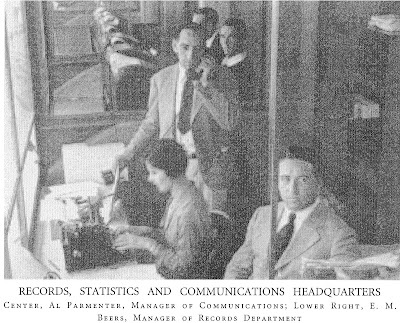 Among them, and highly appreciative of the arrangements, were Robert M. Collins of the Associated Press of America, William Orton Tewson of The New York Times, Charles Wilbur Williams of The New York American, William G. Shepherd of the United Press Association, Paul M. Whelan of the New York Sun and James S. Mitchell of the New York Herald. 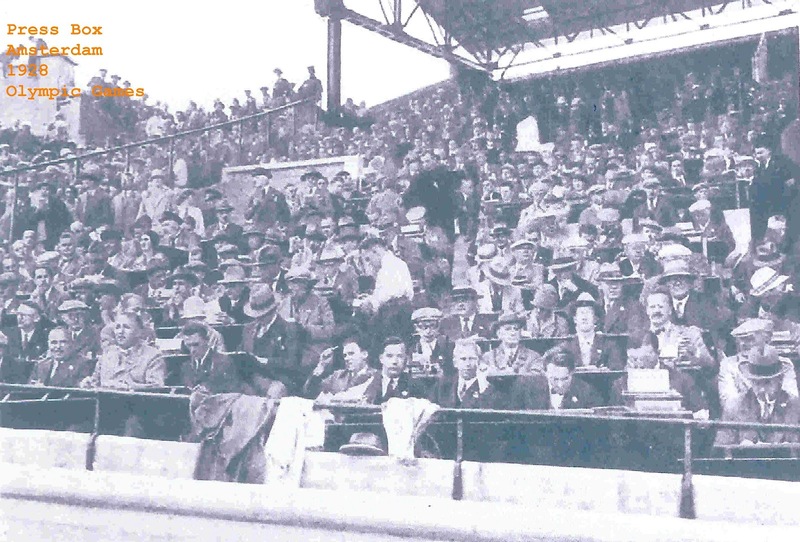 Two also travelled from Australia, James Hill of The Sydney Morning Herald and C.S.Cunningham of the Melbourne Argus. Sadly, the 1920 Antwerp Olympic Organising Committee went bankrupt and as a result no official report of the overlong (19 weeks) Games was produced. However, in 1957 the Belgium Olympic Committee was able to bring out a typewritten report based on what records had been kept in the intervening 37 years in its archives in Brussels. 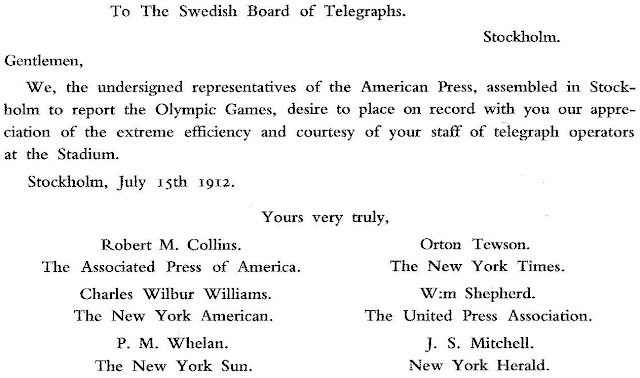 The 1924 Paris Olympics took up where Stockholm had left off in terms of facilities for the Press. 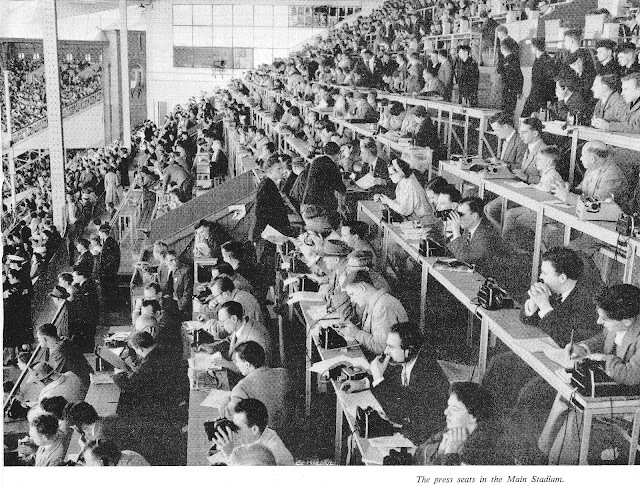 Paris organisers provided a Press Centre at the main stadium at Colombes which included many “type-writing machines”. 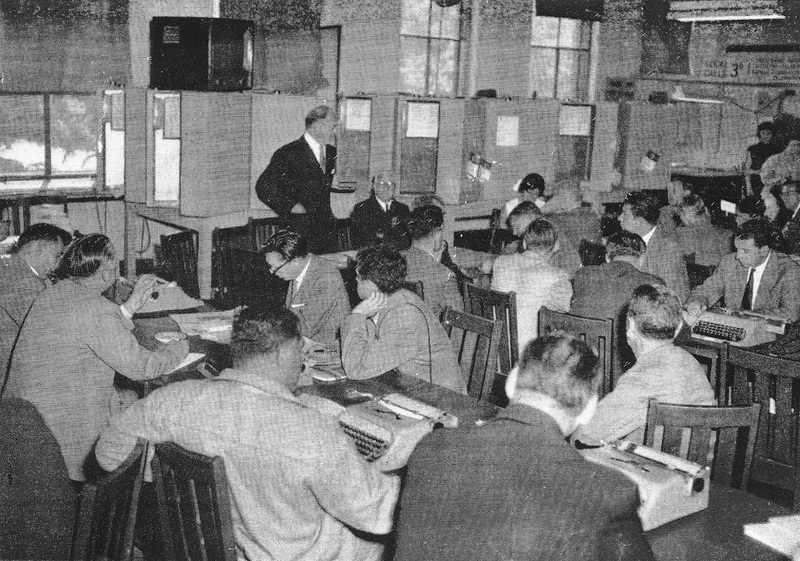 The centre had an adjacent telegraph-office. 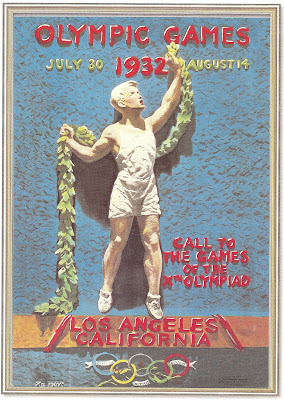 The Games, however, dragged on for 11 weeks. Even greater progress was made before the 1928 Amsterdam Olympics. 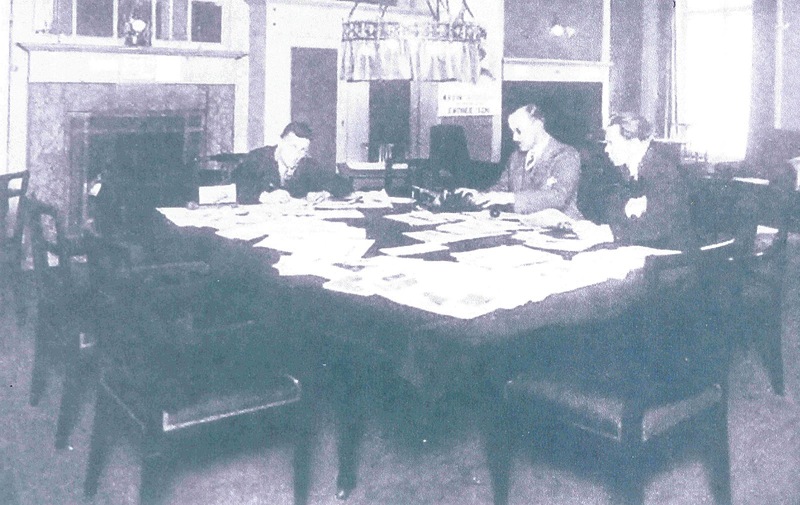 In the lead-up, a number of rooms at the organising committee’s apartments at the Heerengracht were fitted out as a Press Bureau. 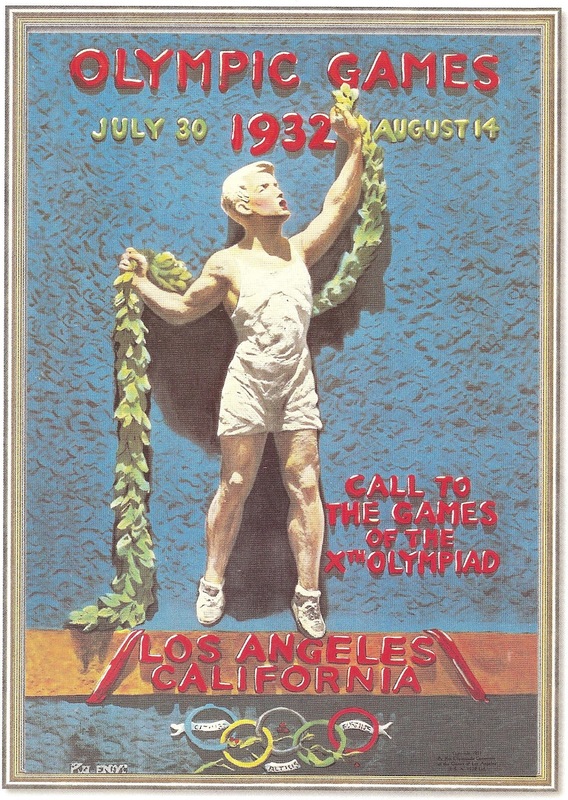 The 1932 Los Angeles Olympic Games, which opened 80 years ago yesterday, might have been held at the height of the Depression and in a geographically isolated part of the world, yet they broke all records by accrediting a staggering 809 Press representatives. 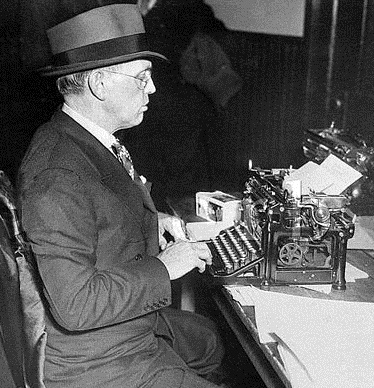 These included such famous American writers, sports writers and sports figures as Ty Cobb, Damon Runyon, Grantland Rice, Paul Gallico, Westbrook Pegler and Irving Wallace. 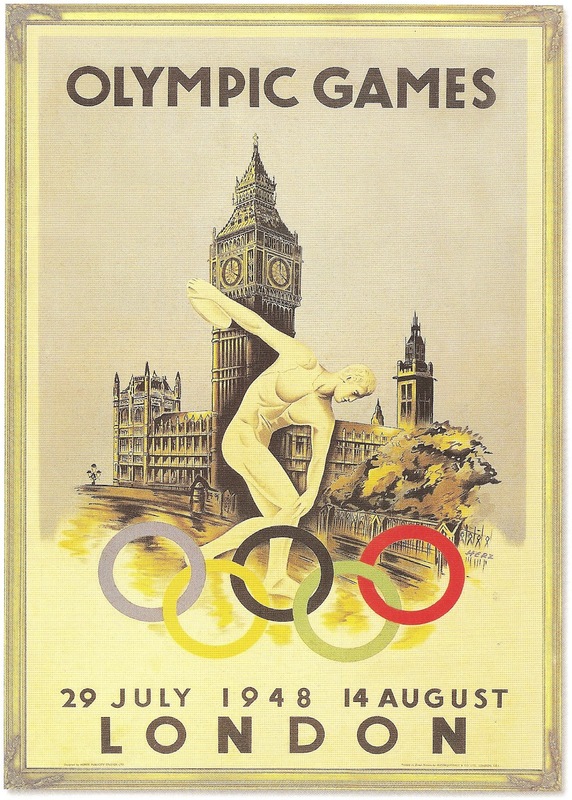 Wallace’s son, David Wallechinsky, would many years later produce the brilliant series of doorstopper books under the title The Complete Book of the Olympics. The Los Angeles Olympics were also the first to provide typewriters in bulk to visiting journalists, including 190 portables, 19 standard-size machines and 10 electric typewriters. For the 1936 Berlin Olympic Games, organisers allowed for 1000 Press representatives in its main stadium. “The seats in the Press box were provided with writing desks so that the reporters could make written or typewritten notes during the course of the competitions. 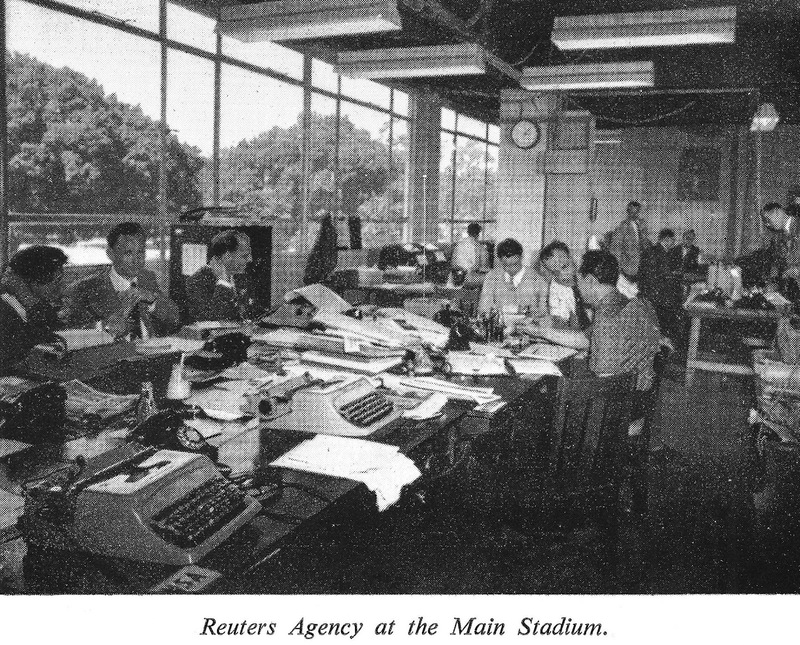 An office equipment firm delivered typewriters with the different keyboards for use in the very popular writing room. "Six typewriters, including two electric ones, were provided for the main office, and these were constantly in operation. 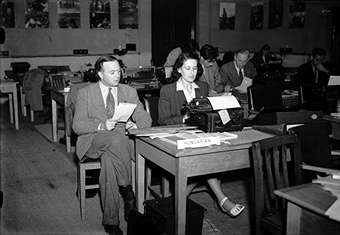 The “Press quotas” included 593 foreign journalists, 46 of them from the United States and another 39 from Great Britain. 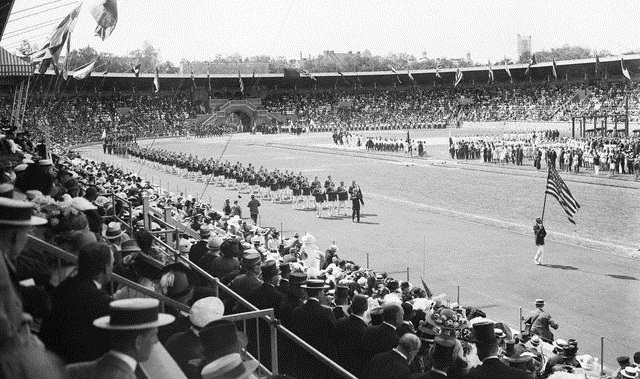 In all, the Berlin organisers estimated at least 2800 journalists were involved in covering the 1936 Games. 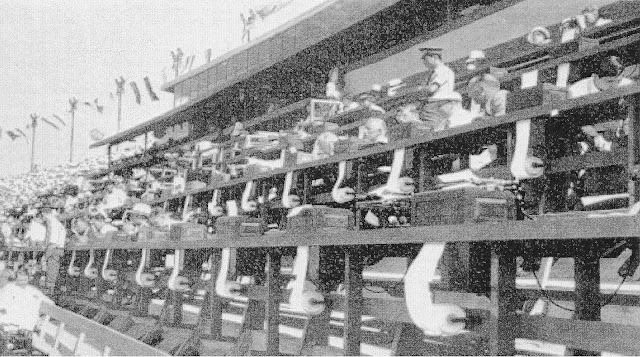 Organisers of the 1948 London Olympic Games had all sorts of immediate post-war problems to overcome, including supplying typewriters. 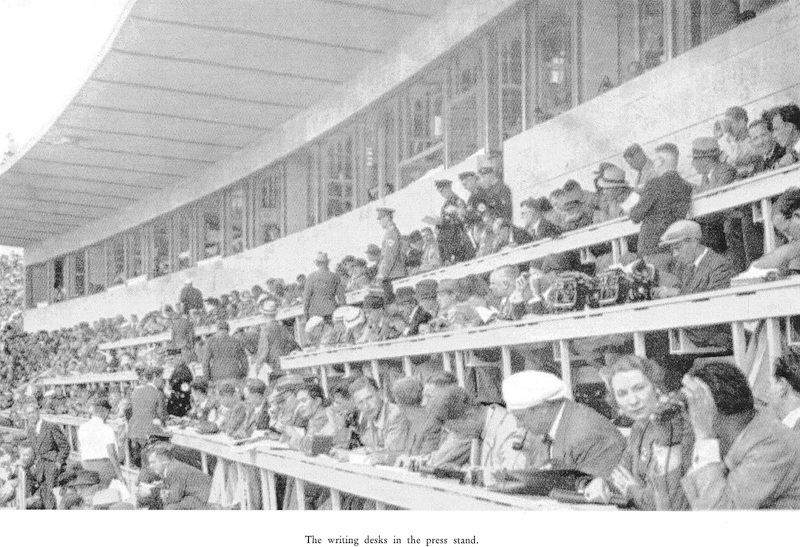 “Typewriters were hired and in some cases purchased, but these found a ready market after the Games and were therefore not a liability.” Eighty typewriters were supplied for staff and Chefs de Mission “at a nominal fee”. 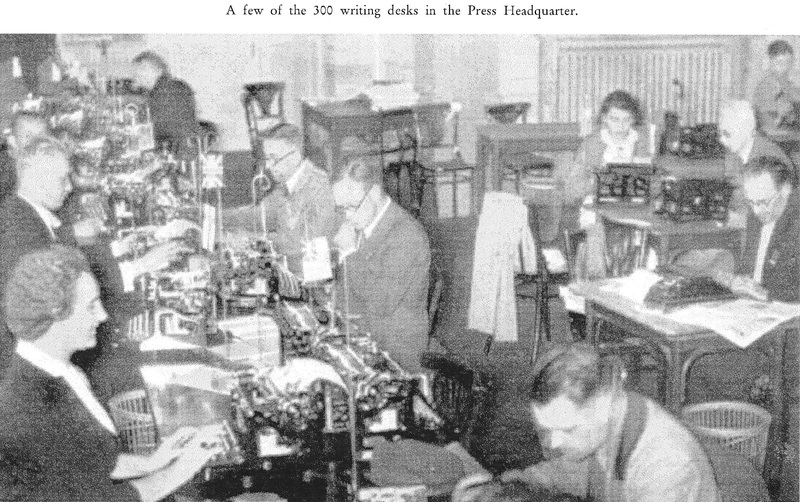 The Press, however, had to fend for themselves, in a period when major typewriter manufacturers were just converting back to production after the six-year war period, during which very few new typewriters had been made in the US, Germany or Britain. 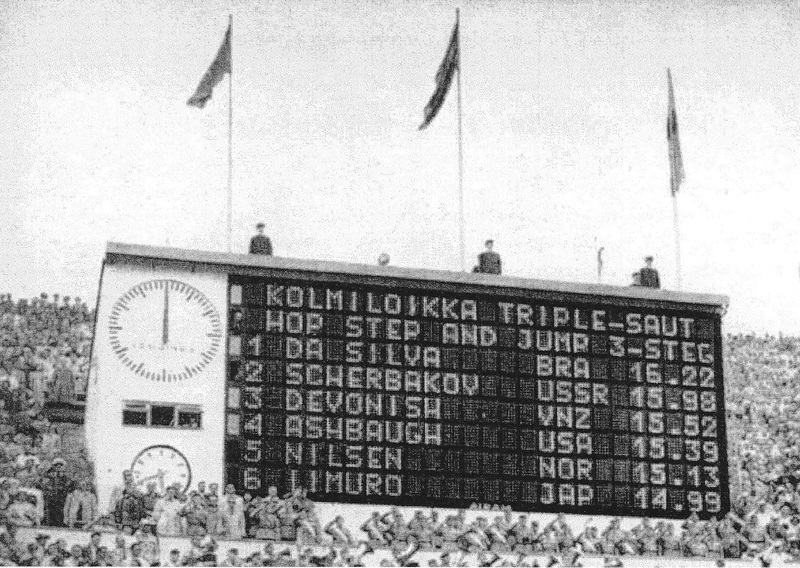 It was a different story at the 1952 Helsinki Olympic Games. Not alone was the Press provided with 206 typewriters, but the scoreboard at the main stadium was operated by “an ordinary typewriter”. 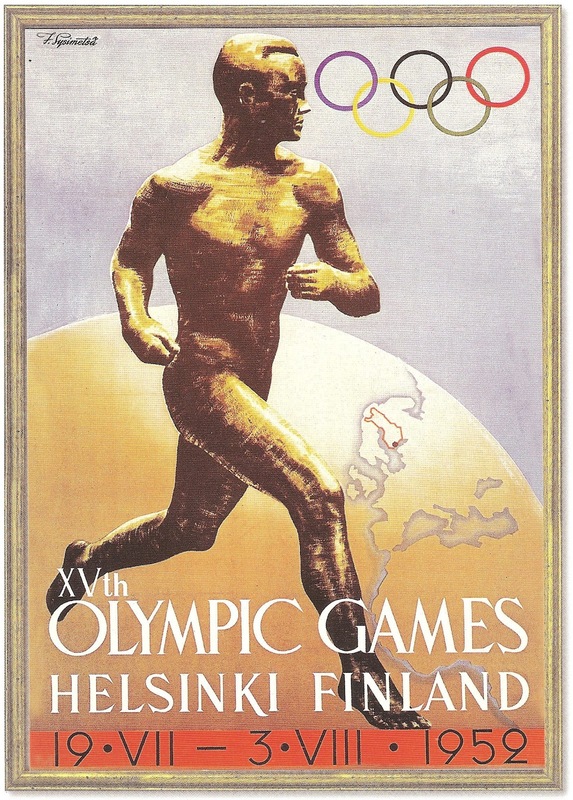 Helsinki also issued a record 1848 Press passes, 86 of them to Americans and 81 to German reporters. 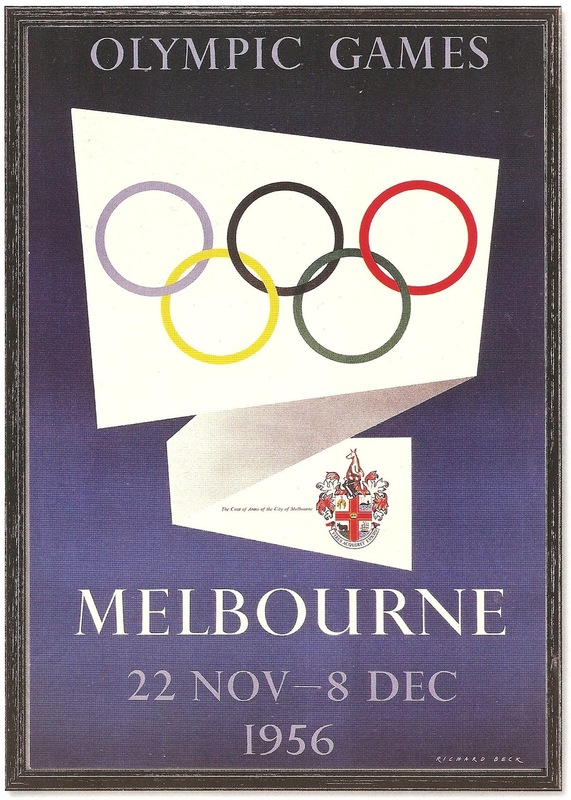 The Olympic Games came Down Under the first time in 1956, when Melbourne withstood pressure from the International Olympic Committee president Avery Brundage to make a late switch to Philadelphia. The out-of-season Games finished up being well-organised, ready on time, and a success. 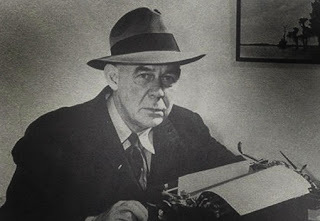 However, the apparent tardiness in earlier planning, to which Brundage had objected, meant there were insufficient volunteers to cover such tasks as handwriting participation certificates. 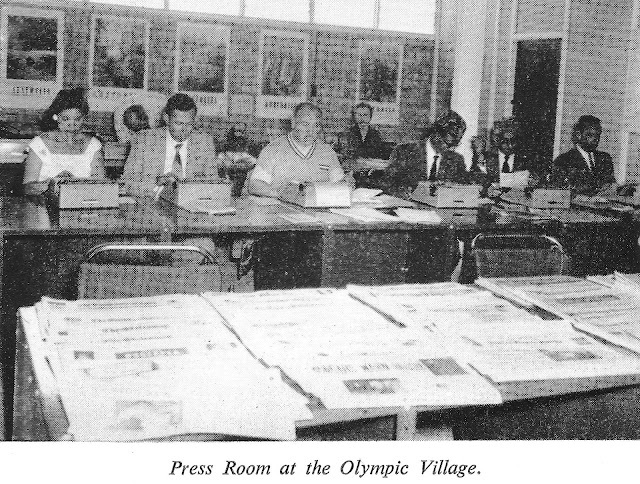 The arrangement led, for the first time, to a typewriter company becoming an official Olympic Games supplier, and in exchange Olivetti was given the rights to supply Studio 44 typewriters to all Press centres and Press boxes, as well as Lettera 22 portables “on loan” to visiting journalists. There were 800 accredited journalists, of whom 511 had desks for telephones and typewriters. 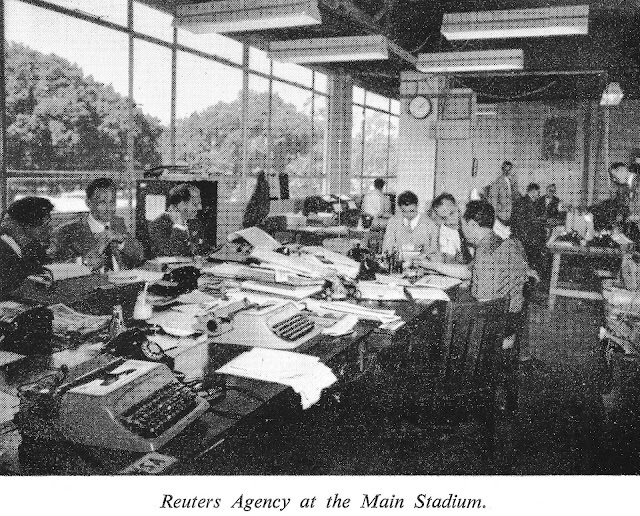 Typewriters were available on working desks with keyboards in English, French, German, Italian and Russian. “Typewriters were available at other competition venues and portable typewriters were lent to journalists at their hotels.” Most were never returned, but instead went on to newspaper offices around the world. These are a couple of Brothers I repainted some years ago for my sons. They picked the colours. I've got better at it with experience, I promise. Cheers to Scott, Rino, Nat, Uriel, Florian, Richard P, Miguel, Ken and Bill for their willingness to have some input into the FuNkOMatic portable typewriter project. 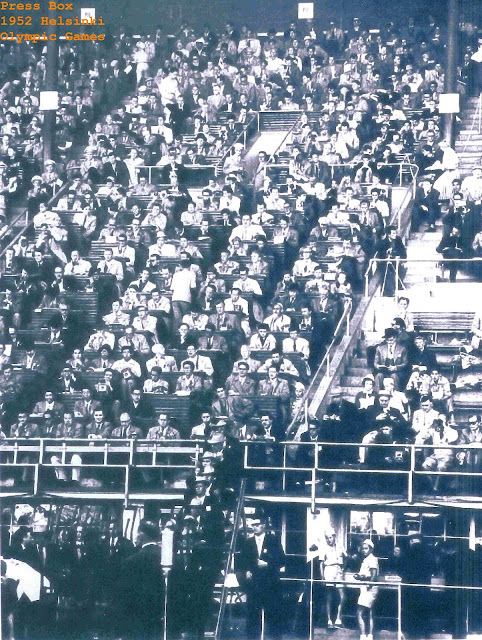 Or, to be more consistent, the FuNkOMatic. Unlike the examples above, the name will go in the little panel at the front of the ribbon spool cover. It’ll look quite stylish, professionally made, in a colour to be decided. Maybe this typeface? 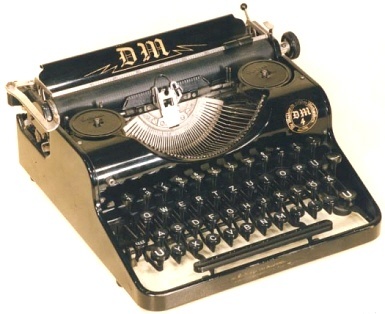 As for typewriter colours, I’m leaning toward Miguel’s suggestion of the body in “fluorescent Atomic Green”, and the typebar cover in “Radioactive Blue”. But I also like Ken’s idea of purple, with the ribbon guard in pink – or maybe the other way around? Both would work. I already have a K-Mart Nakajima that’s factory-painted purple – I could just use the body or the ribbon cover and paint the rest pink. And Nat’s two-tone scheme of hot pink and pink has a lot to recommend it. Trouble is, I've found fluro pink a hard spray paint colour to work with. Maybe it needs a very light primer? 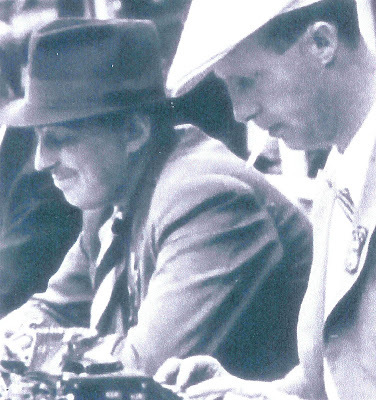 As a consensus, Bill’s purple and lime green to make a Barney typewriter is a serious contender. The BaRnEyOMaTic? Bill’s suggestion of heat-shrinking the platen a different colour, as Richard did with his Torpedo, is also well worth checking out. I suspect I went overboard with these two for workmate Claire Low, a Hello Kitty devotee. Ah, I was just having some fun and got a little carried away! Don't worry, I'll be a bit more constrained with the FuNkOMatic! Fashion editor Claire, by the way, wrote the story about Adwoa's dress. There was a positive outcome from this last machine. 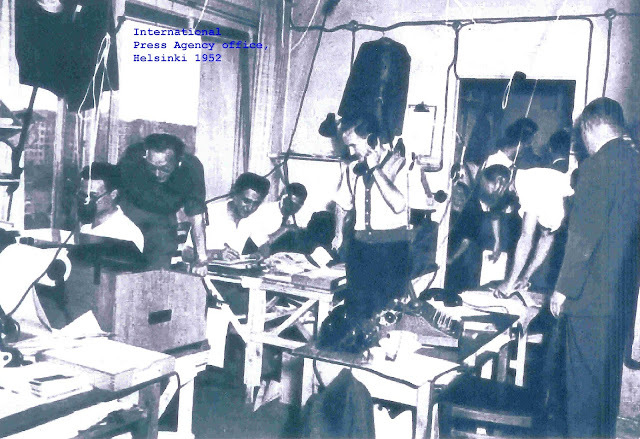 We were doing a Bubblegum music show on radio, so I "made" a "Bubblegum typewriter" - the 1910 Fruitgum Company Typewriter. Talking about it (in much jest) on air resulted in a couple calling the station and offering me a beautiful Mercdes Superba. Can't complain about that! The Olympia Model 4 Typewriter - in Green!? 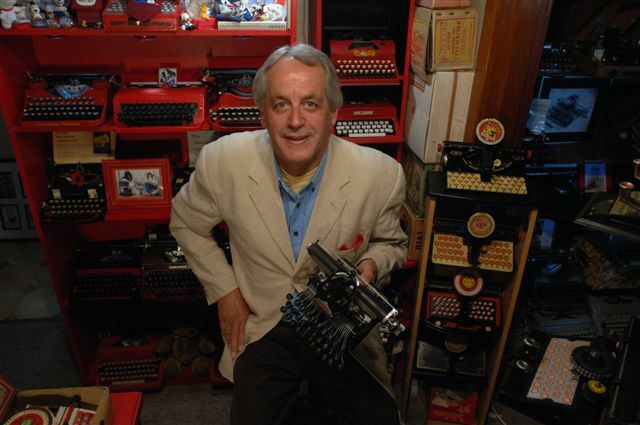 I got a warm and fuzzy feeling from Peter Baker’s comment two weeks ago - in connection with Rowan Henderson’s growing collection - in which Peter said that many of my typewriter encounters have turned out to have good “back stories”. That certainly seems to have been the case of late, especially in relation to typewriters that have been owned by, or are still being used by, exceedingly interesting ladies. 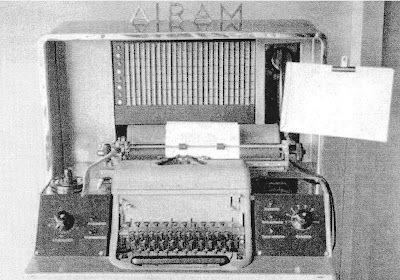 I was also delighted with the comments from Peter (Manual Entry), as well as Anna Strad (A.R.M.S., A Machine for the End of the World) and Ken Coghlan (Swinging Typebars), regarding my new old friend Eva. I met up with Eva again for lunch on Friday and handed back her fully serviced Baby Empire, with which she is thrilled. Yes, Ken, the ribbon spools on it are now the right size, so Eva can now type away on it with the “gull wings” closed. 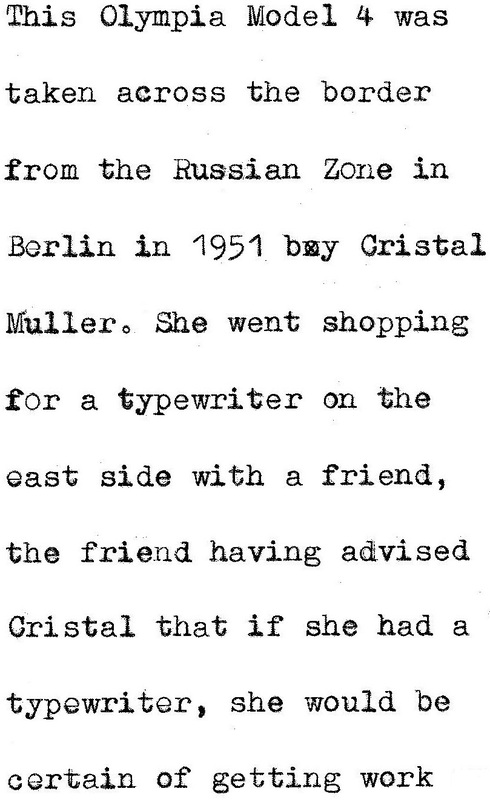 Here’s another intriguing “back story” regarding an old lady’s typewriter, which I now own. On the Monday before my typewriter exhibition opened at the Canberra Museum and Gallery, curator Rowan Henderson and her team were laying out typewriters ready to place them in their display cabinets. There was a tap on the glass doors and one of the staff members went to talk to the elderly lady who was peering in at the array of machines. 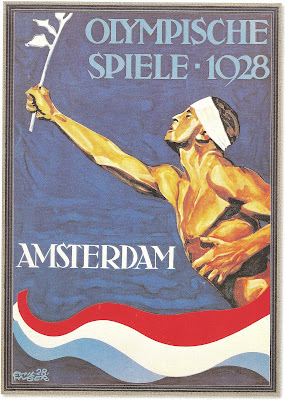 The lady’s name is Christel Stahl. 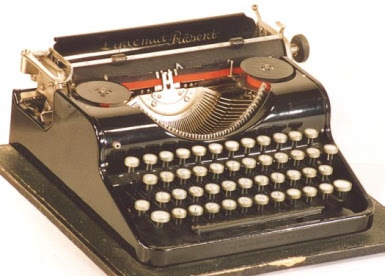 Christel, who is 84, wanted to get in contact with me because she had an old Olympia portable typewriter she wanted to add to my collection. I visited Christel at her home in Canberra the Friday evening before the exhibition opened. 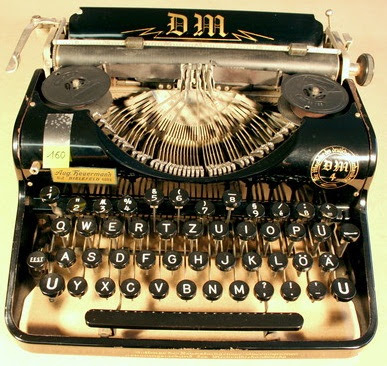 The first thing that struck me about her typewriter was the unusual way in which the case locked – the clasp folds from the front edge underneath the base of the case. The second thing was the green colour of the portable. 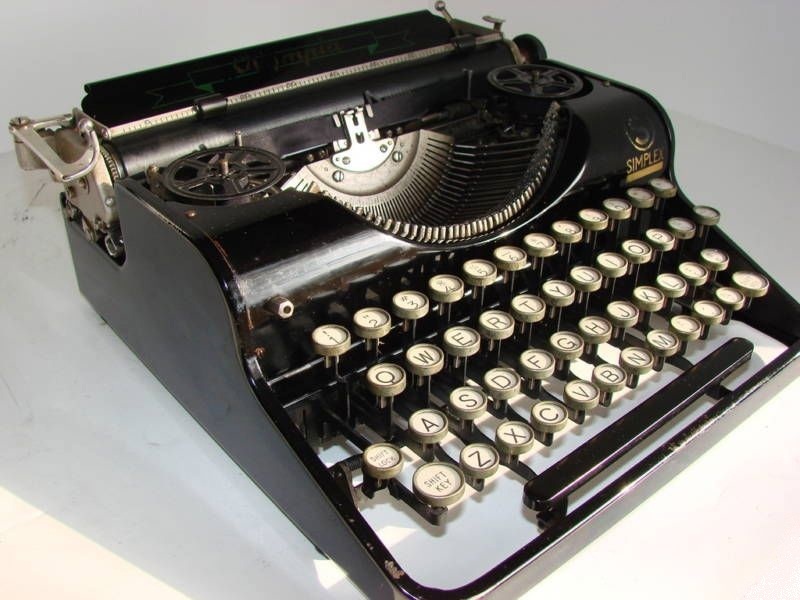 I own an early model Olympic Simplex, from the 1930s, but this, like other variations on the Olympia Model 4 I have seen (mostly from the late Tilman Elster’s collection, and featuring on the European Typewriter Project website put together by Will Davis) are a shiny black. Upon taking Christel’s machine apart to clean out the lint-laden workings (I’ve never seen such a dense accumulation!) I noted that the green paintwork appeared to be the machine’s original colour. Everywhere, that is, except for the two side edges of the back plate; these “lips” slide in behind the mask’s main frame. These are a shiny black. Suspicious? Not necessarily. Christel told me the story of her typewriter. 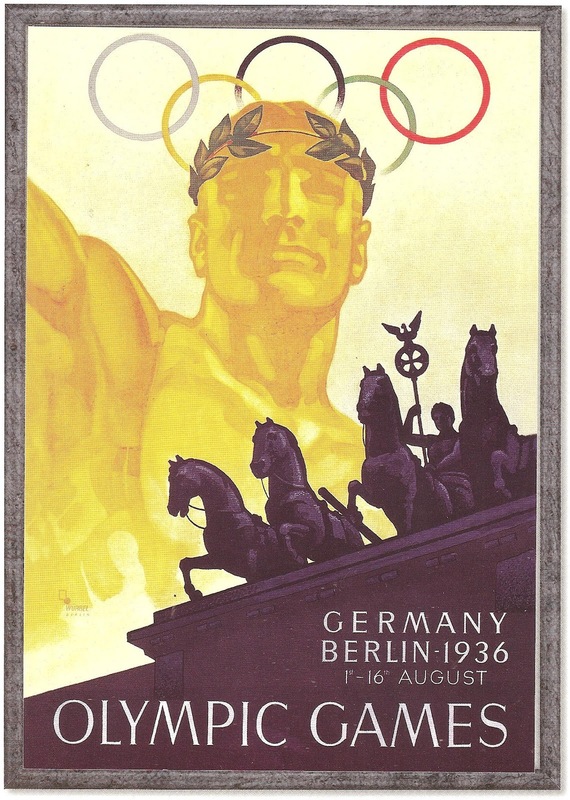 She had bought it second-hand in the Russian zone of Berlin in 1951. 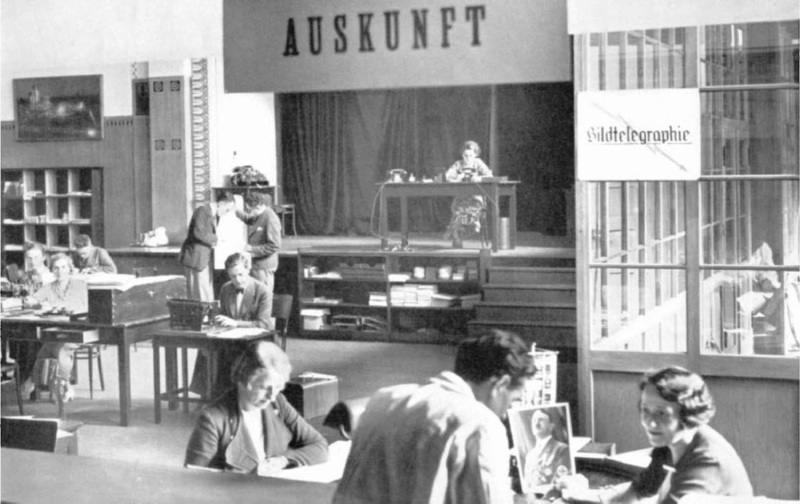 Her father, the botanical scientist Professor Karl Otto Müller, who had got out of Germany before World War II and taken up a position at Cambridge University in England, had organised for Christel to escape East Berlin while she still could. Professor Müller had received an offer to work with the Commonwealth Scientific and Industrial Research Organisation (CSIRO) in Canberra and was preparing to move to Australia. He had demanded that his daughter be allowed to travel with him, as a £10 migrant, when he set out to start a new life Down Under. As Christel made preparations to join her father in Cambridge, she and a female friend went shopping for the things they believed Christel would find essential in the West. The friend had advised Christel that if she had a typewriter, she would be guaranteed of finding work in England and Australia. 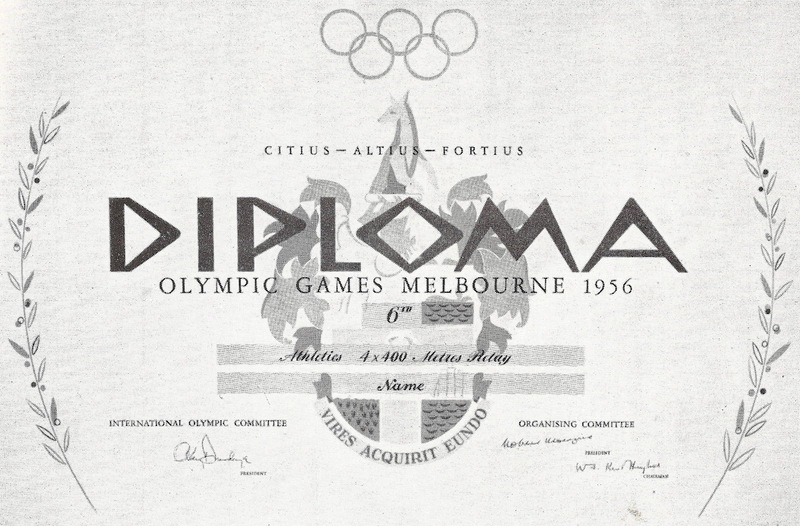 Thus they found the Olympia and paid a relatively small amount of money for it, and Christel took it with her to Cambridge and then brought it on to Canberra. Here in Australia, Christel and her husband found much work for the Olympia, but for many years it had been stored away in a cupboard. That is, until Christel took it out to show me. Given this machine’s unusual history, I am guessing it was possibly refurbished by Olympia during the company’s immediate post-war years, while its factory was still in Erfurt. 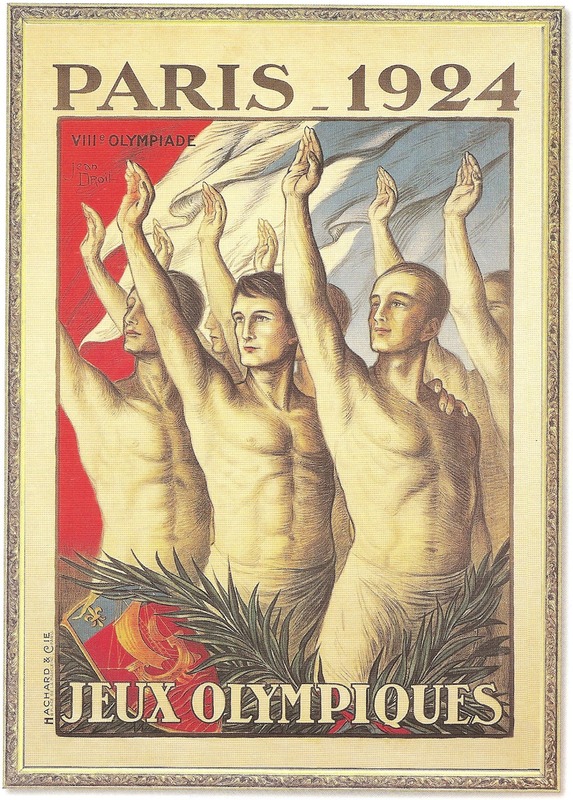 The Soviets took over this factory at the end of the war, while Olympia was re-established in West Germany. 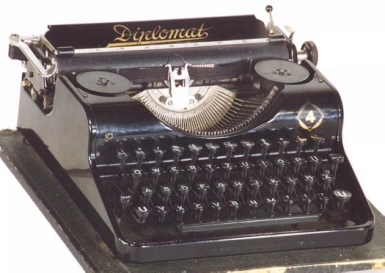 After action in the International Court of Appeal in The Hague, typewriters coming out of Erfurt had to be relabelled Optimas, starting in 1951, the year Christel bought her Olympia. 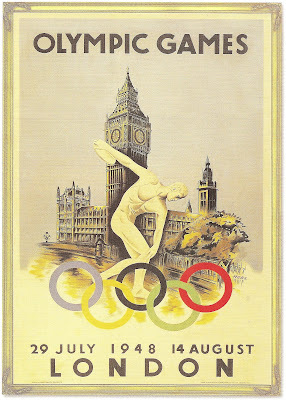 The paintwork on the green Olympia suggests to me that this is a factory re-paint job – other than that, it must be its original colour. Perhaps some spare parts from earlier models were used and repainted (the back plate is green on both sides). This is certainly no amateur repainting, it has all the hallmarks of factory work. After leaving Cambridge, K.O. Müller joined the Microbiology Section of the Division of Plant Industry at the CSIRO here in Canberra in 1953. A graduate of Berlin, he worked on the mechanisms involved in disease resistance in plants and studied responses of the seed cavity of French bean pods to spores of the peach pathogen, Monilinia fructicola. Cool it: Stockingless (and Stockinged) Typists!